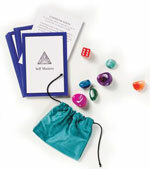 "Self mastery is the ability to go from vision to reality and to be responsible for it"
Copies of the Self Mastery Game are available for £45.00 with FREE POSTAGE in the UK, all games come with Crystals as the game play tokens. Please contact me if you would like to pay via BACS or with a cheque. An opportunity for you to try out the game in the comfort of your own home, spend a memorable few hours with close friends and get some insight into a situation that’s important to you. 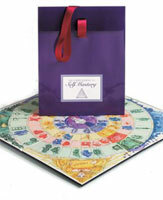 Kate will visit your home and guide you & up to 5 friends through the game, sharing its insights and messages, questioning & helping to interpret the messages from the board leaving you feeling inspired, empowered and ready to take positive action! 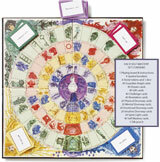 The game usually takes 2 to 3 hours, so perfect for a Sunday afternoon or evening during the week. For more information and to book, please call Kate on 07767 655797 or email. If you would like some more information, please contact Kate on 07767 655797 or email. 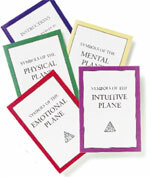 Your journey will take you around and up a series of planes to insight and discovery. Dream, Challenge, Gift, Angel and Revelation cards give you encouragement, focus your mind, support your endeavours and create breakthroughs. Your Doorway Card is like a ticket to a higher plane. 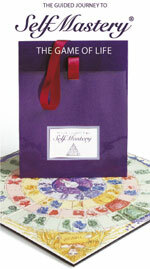 It offers a message of encouragement and a point of focus for the next section of your journey. 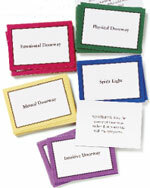 The Self Mastery Card is the prize at the end of your journey. It gives you an overview to your question. It opens the higher doorway to wisdom and reveals amazing insights.